Company: Sheley & Hall, P.C. 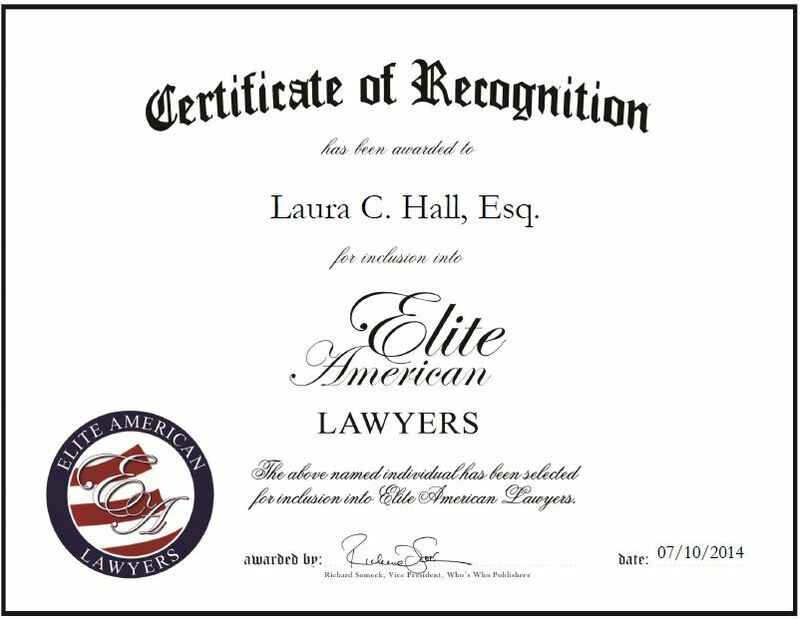 Atlanta, GA, July 10, 2014, Laura C. Hall, Esq., Partner at Sheley & Hall, P.C., has been recognized by Elite American Lawyers for dedication, achievements and leadership in real estate law. Mrs. Hall established her practice 11 years ago after gaining extensive experience in the legal field. She is recognized for her knowledge of commercial real estate law and focuses her practice of commercial leasing of retail, industrial and office properties, as well as asset management matters. Her practice works with national and international clients and extends from Texas to Florida and north to Maryland. In her role, Mrs. Hall is responsible for managing all aspects of legal services, including commercial real estate, contract and lease negotiations, legal drafting, counseling on acquisitions, joint ventures and real estate finance. She also acts as a business adviser on numerous transactions. Mrs. Hall has garnered a reputation as a well-respected lawyer who always puts the needs of her clients’ needs first. Her portfolio consists of more than 20 million square feet in locations throughout the United States., and she recently completed a 240,000 square foot lease and a 220,000 square foot lease of two trophy buildings in the Atlanta and Charlotte markets. Mrs. Hall attributes her success to her experience and knowledge of commercial real estate law, and ability to build client relationships. This entry was posted in Real Estate Law and tagged business adviser, commercial real estate law, contract and lease negotiation, leasing. Bookmark the permalink.